Buy linen upholstery fabrics online for upholstery and loose covers. Gorgeous natural linen upholstery fabrics at great prices from the leading UK supplier. Our fabric collection includes heavy upholstery linen and cotton fabrics that we have sourced for you with care by Ada & Ina. We have great selection of colours e.g. in various grey, white, blue and natural linen shades. All of course 100% Natural fabrics at a great price. 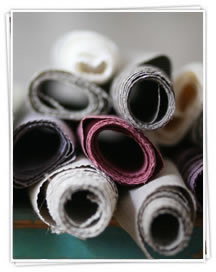 Order your 5 free samples of these lovely fabrics today!